What exactly is a "lifestyle centre"? And is it just a dressed-up shopping mall? The form is becoming more and more popular among developers and shoppers. But while lifestyle centres are promoted as a 21st century, community-oriented alternative to the soulless shopping mall, their purported Main Street “authenticity” is perhaps a new style of retail façade. multi-purpose leisure-time destination, including restaurants, entertainment, and design ambiance and amenities such as fountains and street furniture that are conducive to casual browsing. It’s a description that sounds an awfully lot like a mall. But there are noticeable differences. Whereas a mall is traditionally anchored by department stores (Macy’s, Lord & Taylor, Sears), lifestyle centres are anchored by large specialty stores (Pottery Barn, Crate & Barrel, Williams-Sonoma) or movie theatres. While a regional mall averages 800,000 square feet in retail space, a lifestyle centre is smaller – around 320,000 square feet. The centres have been popping up in affluent suburbs across the country for the last 15 years, and they are often mixed-use developments, bringing apartments, condos, restaurants, movie theatres, grocery stores – even hotels – to the mall’s historically singular retail focus. Michael Beyard of the Urban Land Institute (ULI) sees the design of lifestyle centres as a shift from “‘wow’ architecture” to the “architecture of comfort.” According to Beyard, developers are trading the mall’s soaring atrium or the Mall of America’s roller-coasters for the lifestyle centre’s attention to detail: cobblestone sidewalks, cast-iron lighting, or Art Deco-inspired neon signs. 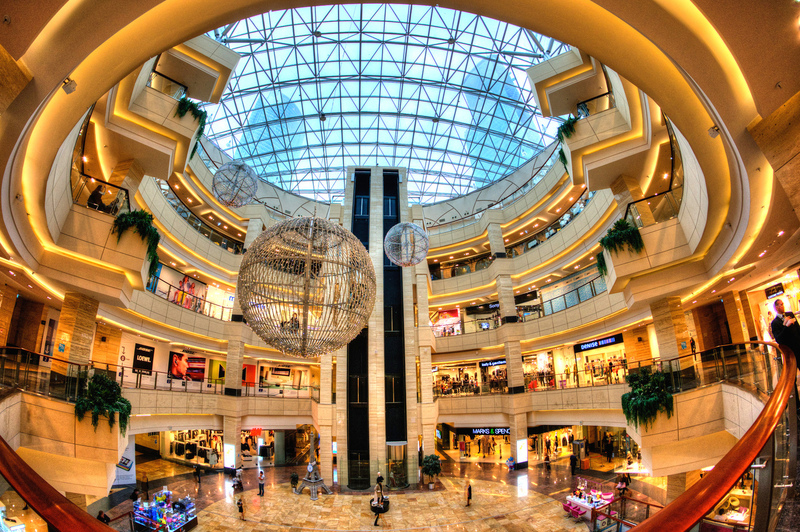 The traditional, indoor shopping mall is known for its soaring atrium and sprawling floor plan. Image: kishjar? via Flickr. At Market Common Clarendon in Arlington, Virginia – completed in 2001 – the developers spent more on details like signage, pavement, facades, plantings, fountains and sidewalks. However, the price-tag for the extras was made up for elsewhere: the developers saved significant resources by not having to build a mall’s roof. By incorporating elements from history into retail projects, “lifestyle centres are designed specifically to make it look like it all evolved over time,” Koup continues. The mix of buildings also provides a solution to another criticism about malls: their homogeneity in both form and retailing. It’s an eclectic antidote to complaints about the sterility and sameness of chain stores. 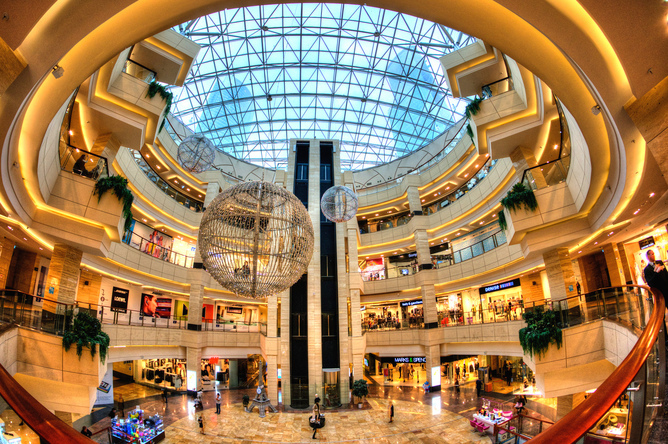 Indeed, as the lifestyle centres are dominated by chain stores (like their mall brethren before them) the quirky styles of the stores make them seem more unique, local, and un-chain-like. Lifestyle centres seek to recreate the retail experience of yesteryear’s Main Street. 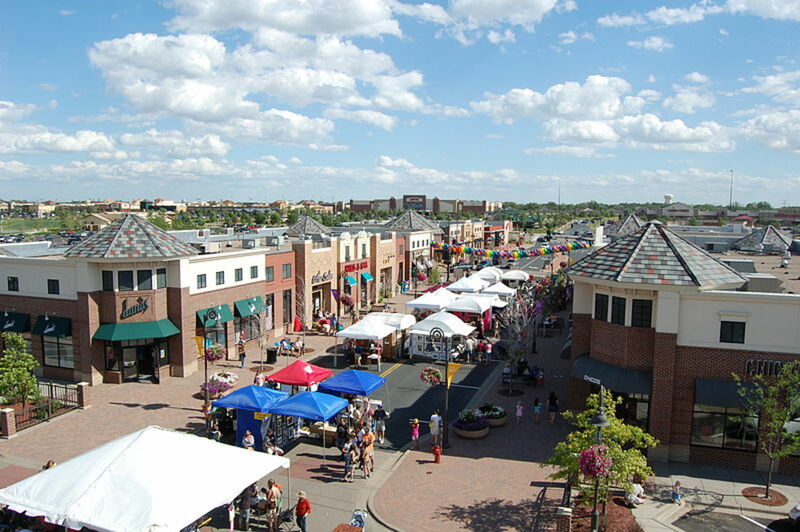 Pictured are the Shops at Arbor Lakes, in Maple Grove, Minnesota. Image: Mgwiki via Wikimedia Commons. It’s one of the lifestyle centres great conceits: it wants to look like a town’s perfectly preserved, picturesque Main Street from yesteryear, but it’s all being created from scratch. Of course, some might see an irony in manufactured authenticity. 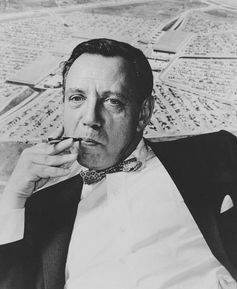 In many respects, lifestyle centres seek to fulfill the ambitious ideas of 1950s shopping mall pioneer Victor Gruen. Gruen, a Jewish architect from Vienna who emigrated to Beverly Hills, promised that the shopping mall would bring urbanity to the “phony respectability and genuine boredom” of postwar suburbia. Victor Gruen’s community-oriented vision for shopping centres wasn’t entirely fulfilled. American Heritage Centre, Wyoming. While it’s difficult to imagine now, when suburban shopping malls first opened in the 1950s, contemporary observers compared them to the best-known retail experience of their time: downtown. 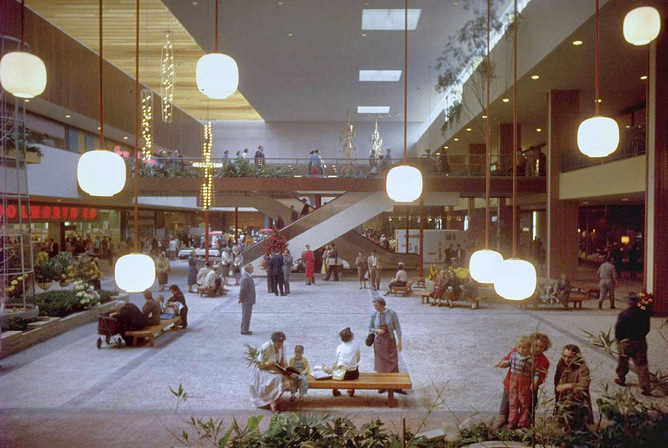 In Gruen’s first mall – the Southdale Centre, completed in 1956 in the suburbs of Minneapolis – most thought Gruen had succeeded in bringing downtown to the suburbs. Southdale was “more like downtown than downtown itself,” claimed the Architectural Record. With his Southdale Centre, Gruen liked to brag that he had re-created “the ancient Greek Agora, the Medieval Market Place and our own Town Squares.” But while Gruen had imagined Southdale as a mixed-use complex of offices, medical facilities and apartment buildings, retail became the predominant focus of the suburban mall. Many of Gruen’s less-profitable schemes ended up on the cutting room floor. A 1956 photograph of shopping mall pioneer Victor Gruen’s Southdale Mall. Image: Life Magazine. Lifestyle centres propose to remedy that mind-numbing situation. However, Cooper Carry architect David Kitchens is skeptical of their longevity. Parading themselves as Main Streets from a bygone era, these new retail centres hope to recreate what was lost in the rush to cover America with large malls from the 1950s through the 1990s. Yet at their core, Gruen’s ideal mall and the New Urbanists' lifestyle centres share the same aspiration: a thriving community centre, yes – but one that ultimately turns a tidy profit.